Creativity central! These DIY projects for the home and garden are frugal, unique, and often use recycled or repurposed materials. 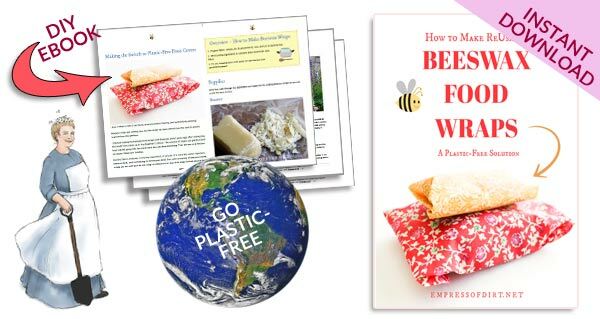 Each comes with step-by-step instructions so you can make your own. Dig in and create your dream space. Ready to make something wonderful? 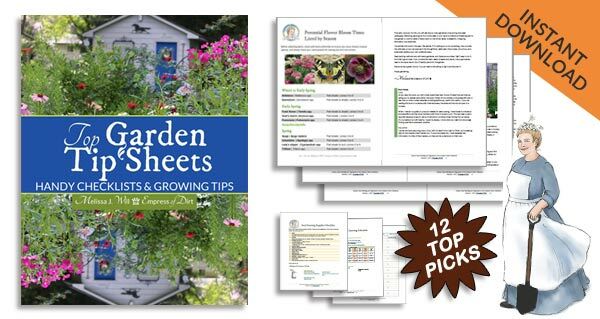 Explore these project ideas for indoor your home and out in the garden. 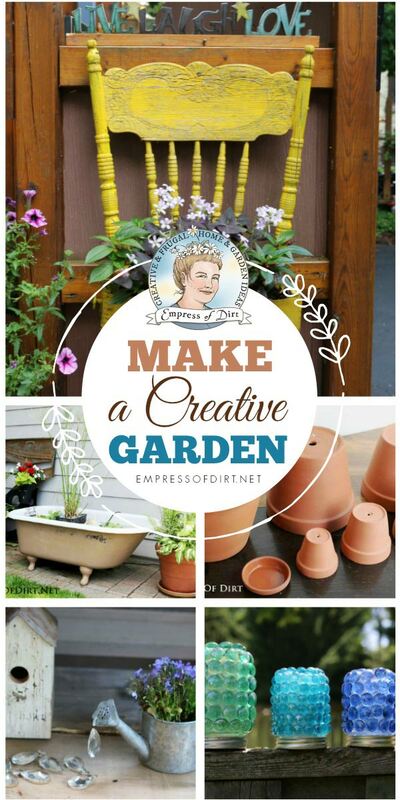 I’m a thrifty Empress so it’s safe to say these ideas are perfect for frugal, earth-friendly beginners who crave a unique home and garden. 1 Resource Guides | Tips and recommendations. 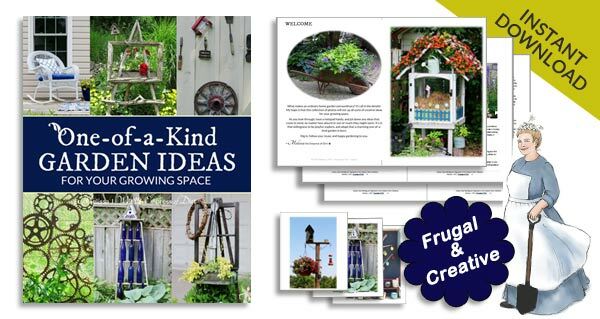 2 Garden Projects | Stuff to make for your outdoor space. Idea Bank | Look up what you have and see what you can make with it. Glue Resource Guide | How to choose the right glue for your outdoor project. My Favourite Garden Art-Making Supplies | Stuff I use all the time. 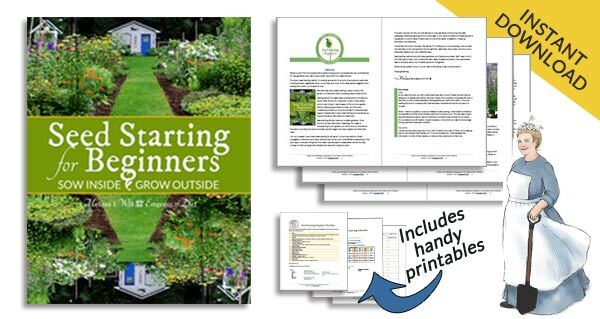 Click here to browse all Garden Projects. Birdhouses | Houses, nesting boxes, feeders, and more. Birdhouse Projects & Nesting Box Plans | Get creative. Containers | Creative planter ideas. Fairy & Miniature Gardens | Create your own little world. Polymer Clay Crafts | Make miniatures with clay. 50 Creative and Recycled Garden Art Projects | This will keep you busy! Garden Art Flowers | DIY flower projects. Garden Balls | Create decorative orbs. Garden Signs | Projects and ideas. 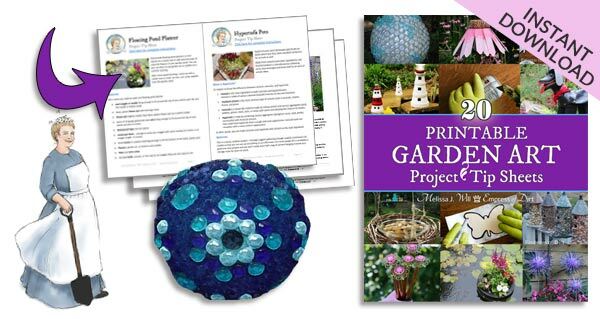 Glass Garden Art Projects | Reuse household glass items for art. Glass Gem Projects | Create with dollar store glass gems. Hand-Painted Art Projects | Grab some craft paints and go. Nature Crafts | Creative projects using natural materials. Painted Stones & Rocks | Create animals, charms, and more. Plant Tags & Markers | Creative and functional ideas. Ponds & Water Features | All about backyard fish ponds. Raised Garden Beds | Free plans and ideas. Recycled & Repurposed Projects | Everything old is new again. Robots | Wonderful characters made from old junk. Totems | Create garden art totems from thrift shop finds. Wood Projects | Fun in the workshop. 10 Best Garden Art Projects of the Year | A collection of reader’s favourites. 25 Creative Garden Art Projects | You will definitely find a project you like here. Click here to browse all Home Projects. Crafts & Handwork | Sew, knit, felting, toy-making, embroidery, and more. How to Paint Shoes | Turn plain shoes into unique wearable art. Lavender Crafts | What to make with lavender. Pet Sweater Bed | Turn that old sweater into a cozy napping spot. Plate Hangers | Save money and make your own. Pressed Flowers | Traditional and instant methods. Slow Cooker | Crafty ways to use your crock pot. Soap Making | My favourite soothing recipe for dry skin. Transfer Images | Complete guide for wood, glass, and more. Vegetarian Soup | Favourite recipes. Watercolor Painting | Great way to get started.